If moderate-to-severe lines have begun to form between your eyebrows, on your forehead or around your eyes, our BOTOX® Cosmetic treatments in San Francisco may be right for you. 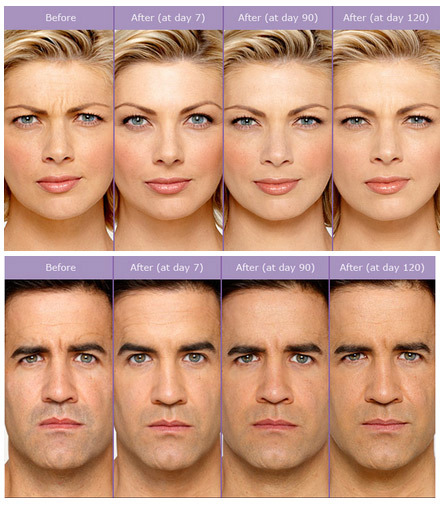 Millions of men and women have turned to BOTOX Cosmetic to achieve a smoother and younger-looking appearance. Repeated muscle contractions in the face are one of the underlying causes of facial lines. During a BOTOX Cosmetic treatment, small amounts of purified botulinum toxin medication are injected into targeted muscles of the face. The medication allows the facial muscles to relax by blocking nerve impulses. As a result, facial lines are softened and your appearance is rejuvenated. The treatment lasts approximately 10 minutes; the injections are often described as a pinching sensation. It is important to choose an experienced doctor who is trained in BOTOX Cosmetic injections so you achieve a natural-looking appearance. Our doctors are licensed to provide BOTOX Cosmetic injections and they have extensive training in protecting the delicate tissues surrounding the eyes. To meet with our San Francisco BOTOX Cosmetic doctors, contact us today to schedule a consultation.